It's the start of a new year - 2016 - Sales of 3D Printers are still on the increase. 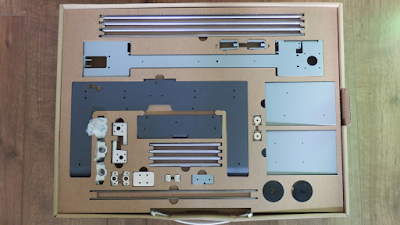 In this post I'm looking at the new BQ Hephestos V2 3D printer kit - (Pre-production version). 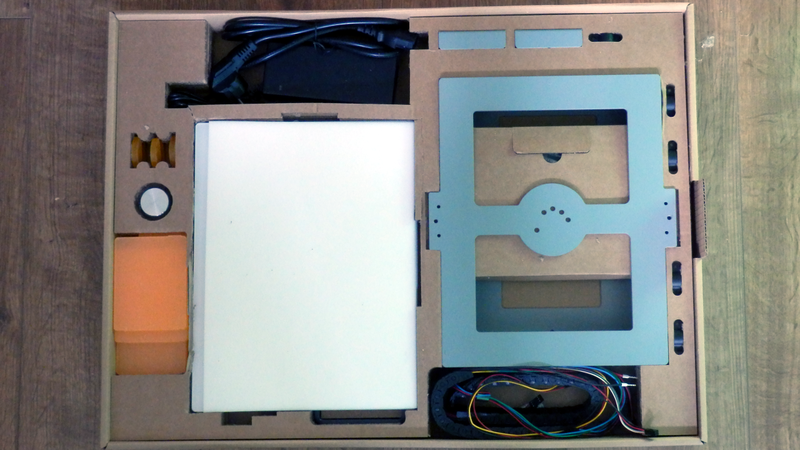 This is an easy-to-assemble 3D Printer kit aimed at individuals, makers, and the education sector. But that's just not the case for many smaller and middle-sized 3D printing manufactures as demand ramps up and things start to turn from more than just a hobby. Some companies have so much demand that even the use of '3D Print-farms', making parts to make more 3D Printers, are not enough to keep up with increasing sales orders. BQ is one of these fortunate companies with orders outstripping manufacturing capacity. They told me recently - "something was needed to increase and grow how many 3D Printer kits could be sold to an expanding and global audience" - Sales are good for BQ. The original BQ Hephestos (Ver 1) is an Open-Source 'RepRap' made out of many 3D Printed parts and closely based on the popular Prusa i3 configuration. 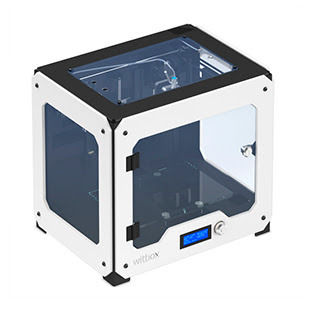 BQ's previous 3D Printer (The Witbox) Is also Open-Source, aimed at a higher overall specification and bigger, enclosed build area. BQ have merged many of the best aspects of Witbox and Hephestos V1 and incorporated them into the Hephestos Version 2 (Kit) design. I didn't have the opportunity to try out the Hephestos V1 or the Witbox, but I am familiar with the design. This post and video is about my experience using a pre-production Hephestos V2. BQ have offices across Europe with a remit for education, and a willingness to be Open-Sourced in all they do. If you take a look over at the BQ 'Do It With Others - DIWO) - http://diwo.bq.com/ you can start to see what drives BQ forwards and how 3D printing is playing a significant part in this educational - maker direction. One key aspect of the Hephestos V2 is that is uses no 3D Printed parts (well, it has one 3D printed fan duct, that's all). It's still all Open-Source and runs a customised version of the popular Marlin Firmware. 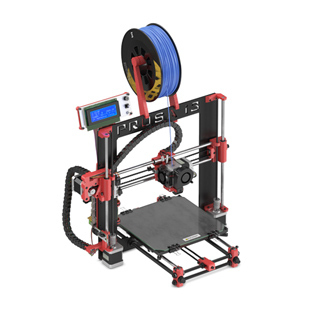 It also still looks a little similar to the Prusa i3, but when you look closer it's had a completed re-design of the motion system and control electronics. The Hephestos V2 is a great machine, as long as you take into account the limits of a cold build platform (not a problem for FilaFlex). Hephestos V2 Introduction video - (November 2015). Hephestos V2 Update, pre-production build and machine upgrades - (December 2015). Although the packaging is almost completely cardboard, it adds a considerable weight (pre-production kit packaging - things may change for the final version). If the Hephestos V2 printer was designed for anything in particular, I would say it was for printing in Flexible filaments like FilaFlex, NinjaFlex and SemiFlex - TPU / TPE materials. 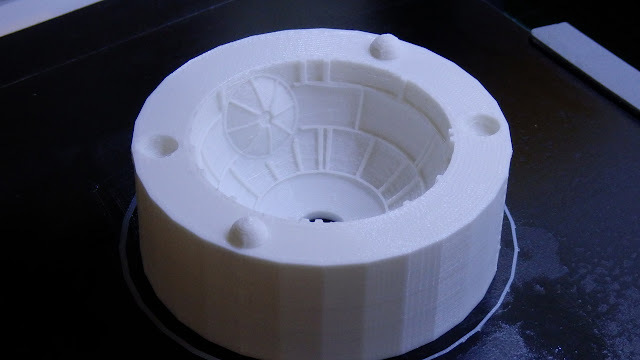 The excellent extruder design allows 1.75mm flexibles to be printed very fast and accurately. Certainly not everything is quite perfect, and I'm sure some of the pre-production issues will be ironed out before the launch and production shipments. 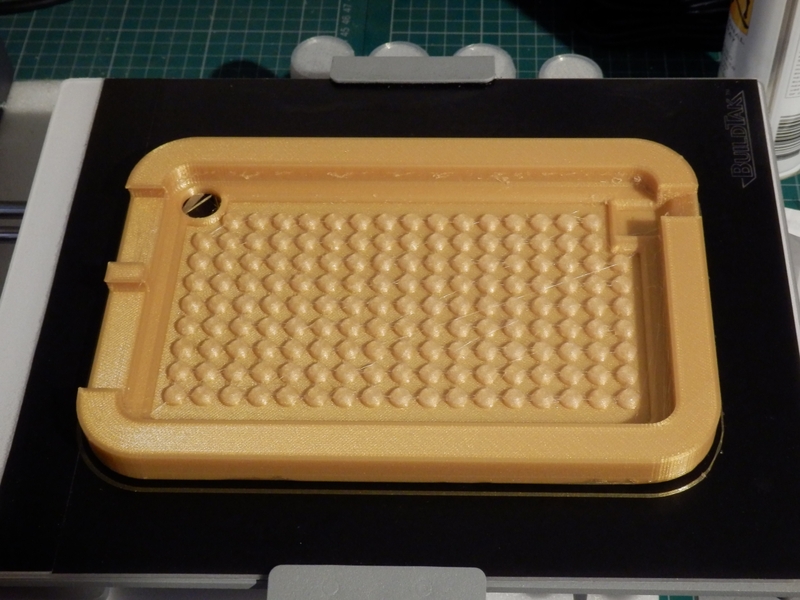 With the Hephestos V2, I'm not convinced that such a large build platform without a heated bed makes complete sense. But I do understand the benefit of having a low powered unit, for education sectors. 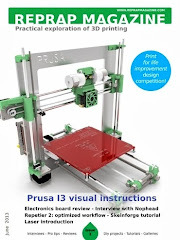 I have smaller delta printers (including my own 3DR design) that have no heated bed, I really like them, my children enjoy using them and they make sense because they have a small print area. There is also no easy way to add a heated bed. The power supply can not deliver enough power and there is no easy way to mount either a PCB heater or a flexible silicone heat pad. 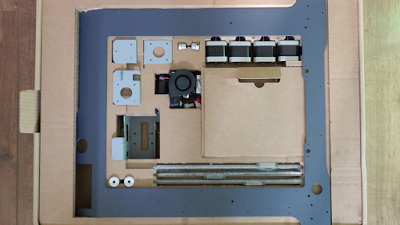 The electronic's do have options for a second extruder and possibly a heated bed, but the connector is not fitted on the version I have, so it will be interesting to see if BQ have a plan for customers that want or need a heated bed option. In the video I show some of the key steps to build up this printer. It's easy to do, and the instructions are very clear and easy to follow. 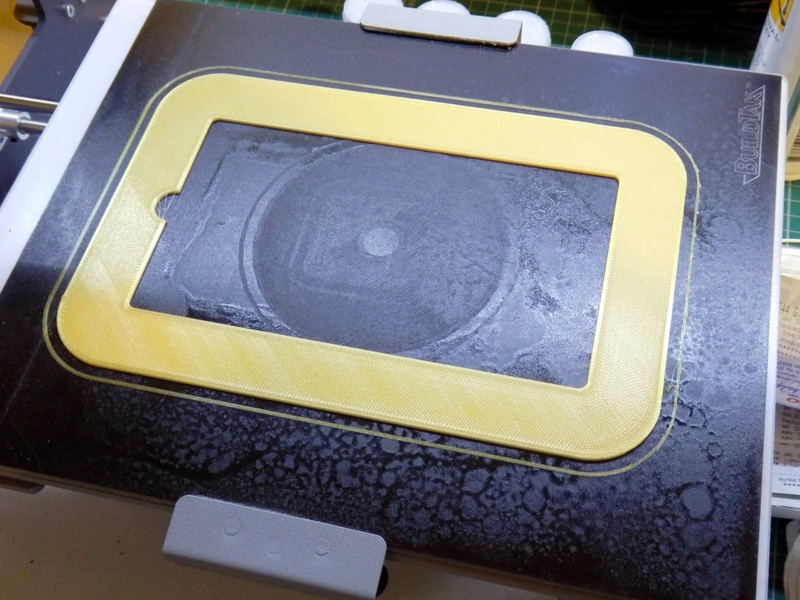 I have also been experimenting with how well the Hephestos V2 prints in FilaFlex (It's fantastic). 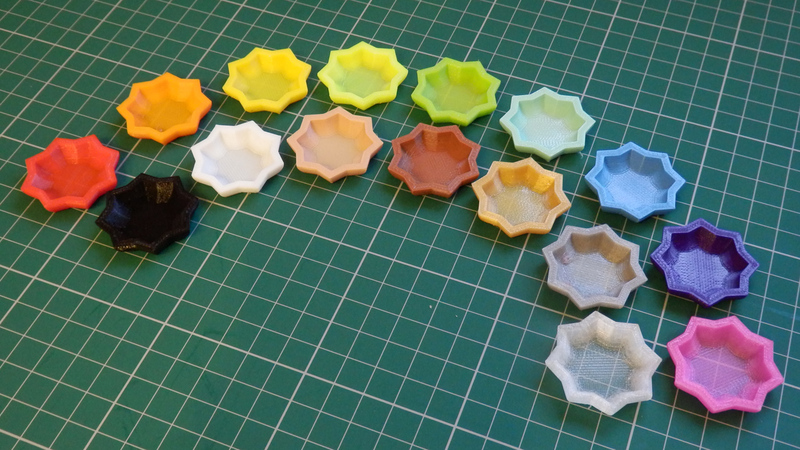 All the great FilaFlex colours - Printed on the Hephestos V2 3D Printer. 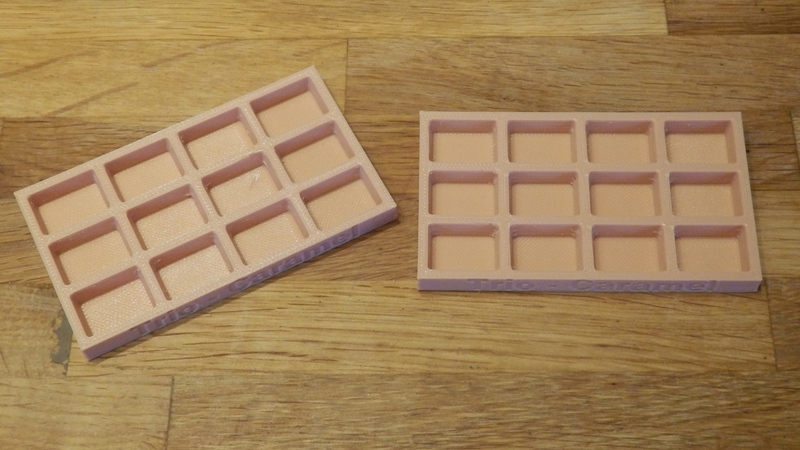 I have also been printing a lot of moulds for various materials, including candle wax, soap, chocolate and clay. - More on this in a future blog post - keep a look out. Casting materials (and foods) seem to release well from FilaFlex, so it's an easy process to design, make and use a 3D Printed flexible mould from the Hephestos V2. 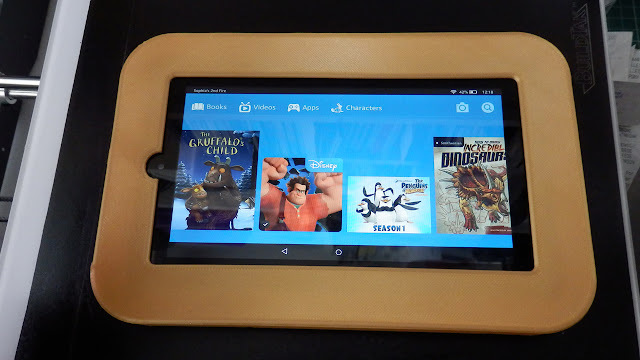 This is a shock case for a Kindle Fire 7" tablet. Designed to be easy to print and to protect the unit. The back of the glass build platform has a thin sheet of steel bonded to it. 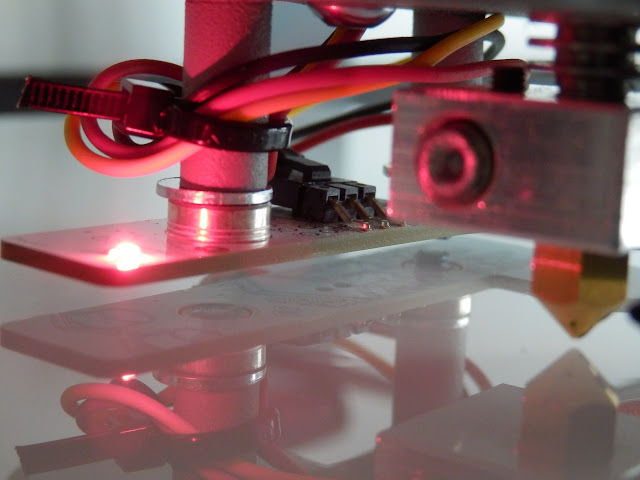 This is so the inductive sensor can accurately check the distance of the print nozzle to the build surface. BQ have produced their own inductive sensor, it's fitted firmly behind the extruder and hot-end. Inductive sensors are good as a distance sensor because they don't require any physical contact to the surface. You have to calibrate the sensor by setting the nozzle just touching the build plate and storing the offset distance, this is really easy to do with guided instructions on the LCD screen. My only frustration with this process is that you can't just easily change the offset distance value. The menu options make you do the level and distance process over again if it's not close enough for your first layer. (This was on the pre-production version - things may change before the machine is shipped). Overall it's very accurate, I have not seen any deviation in sensing distance at all, the inductive sensor is a good solution for this type of 3D printer, it is not concerned by any surface coatings you apply or the type of material used for the build plate - as long as you have a flat sheet of steel underneath for it to sense. This is bonded to the back of the glass build plate for the Hephestos V2. I really do like this printer, the kits is very easy to build and you get fantastic print results due to the very high quality parts that have been used. It's a very fast printer and the extruder is the best I have ever used for flexible filaments and it's also great for normal PLA plastic too. BQ have not cut any corners (apart from lacking a heated bed, but we can forgive them for that), they have made a machine for a sensible price, using high quality parts that will last you a long time and produce great printed parts. In a market that's racing to the bottom, it's not going to be easy for any company to stand out. Alternative 'generic' 3DPrinter kits can be sourced for a lot less than most machines on the market today, but do ask yourself if they are any good before parting with even a little money. For me we are seeing an interesting time in Desktop 3D Printing, even more companies than ever are deciding to make their own model - a slight tweak here, a different configuration or size. But to the average user that wants a 3D Printer (or should I say they want the capability of 3D printed objects at home) - it's starting to get really confusing who and what machine to buy. 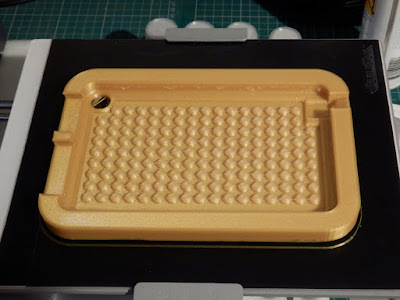 1) - Have a 'need' for a 3D printer - remember you can use 3D printing services if you need special parts printed (gold, ceramic, very high quality details). 2) - If you just 'want' a 3D printer - then that's fine. Spend some time thinking about what you may do with it, be sure to understand how long the print process takes (many hours most of the time). 3) - If you have a need and want to operate a desktop 3D printer, investigate if plastic (FDM) printing or SLA (resin) based machines are more appropriate for your application. 4) - Value for money - this depends on many factors, how much support you wish to get from the manufacturer. If you want a kit or a ready-built machine, and how much you want to spend. 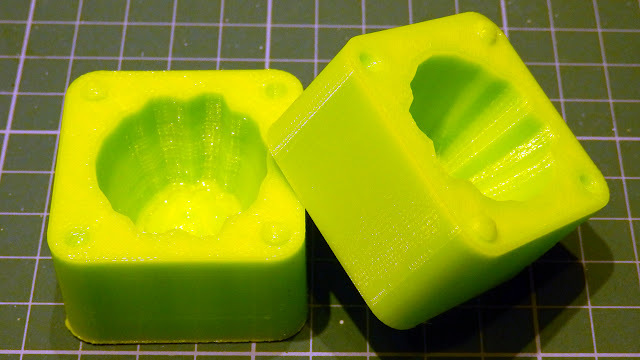 If you spend ~£150 / $200 / 200 euro on a 3D printer - even a kit, you may be disappointed, frustrated or need to spend more to get it working well - ( Like buying a new hot-end and/or extruder for example ). 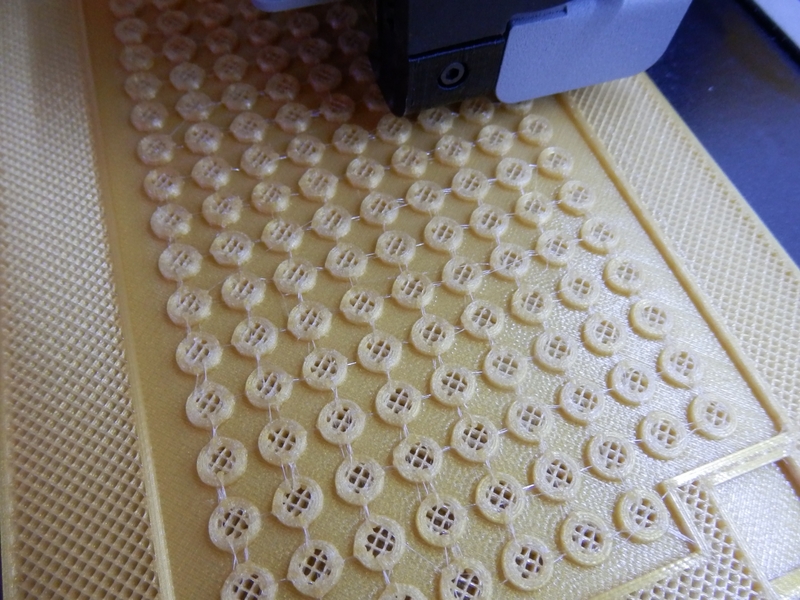 5) - As a guide, it's still sensible to be thinking about spending around £500 / 700 euro / $750 as a minimum for a machine that can provide quality prints using good components in the design. If you plan to spend more than £1500+ / 2000 euro / $2000 For a 'desktop 3D Printer' have a very good reason and do plenty of research first. I have many more projects, 3D printer and material reviews along with development experiments coming up for this year, stay tuned and do get in contact.